Quite an Independence Day weekend for the Cookeville area. 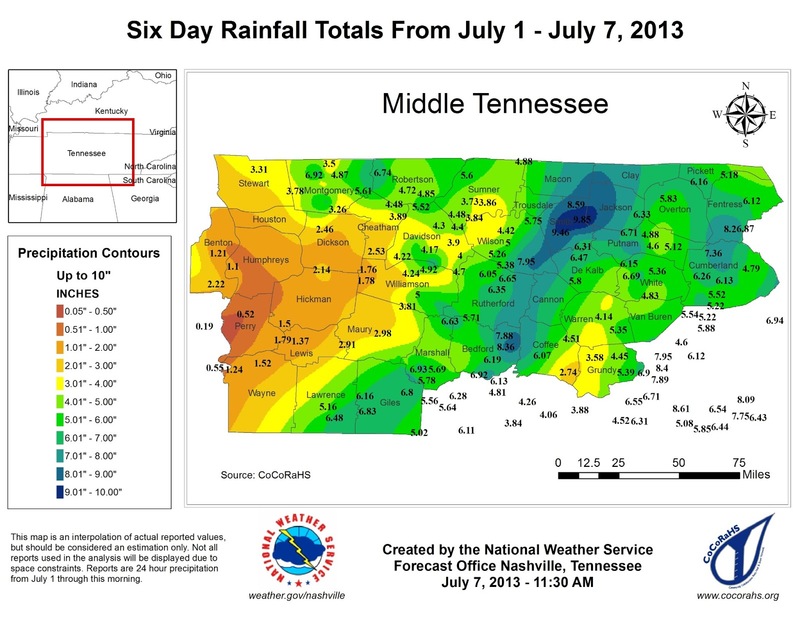 The top graphic shows rainfall totals across Middle Tennessee since July 1. We saw some amazing numbers and I'll get into those a bit further down in this post. 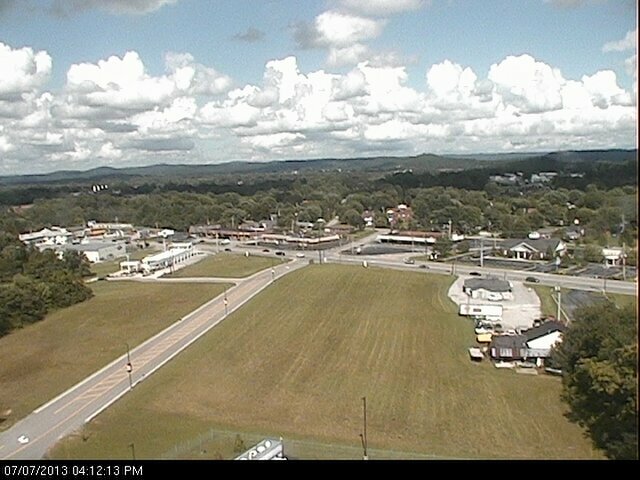 The photo above is the live shot at 4:20 pm in Cookeville, TN. 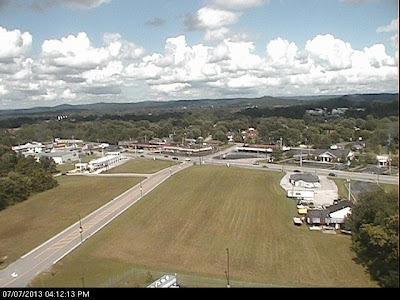 We've seen the clouds break up and getting some very nice sunshine. Although temps are not hot, we do have heat index readings approaching 90° this afternoon. The forecast for the next few days is a trend toward more summer-like conditions with highs in the middle to upper 80's and garden-variety afternoon thunderstorms. Anywhere from a 20%-40% chance each day. Not everyone will see rain unlike the last six days where EVERYONE saw rain. Speaking of the last six days, the Nashville Forecast Office of the National Weather Service released a statement this afternoon discussing rainfall amounts across middle TN. Smith County just east of Nashville and just west of Cookeville received the most rain with one spot near Elmwood measuring 9.85 inches since July 1st. Near Carthage a reporting station saw 9.46 inches while Gordonsville had 7.97 inches and 7.42 inches about six miles southeast of Hartsville. July averages around 5 inches for the entire month so these are significant numbers. In Putnam County around Cookeville, we saw the following measurements. 6.39" on my weather station located in Northeast Cookeville. There are other large amounts including 7.88" just southwest of town, 7.56" west southwest of Cookeville, and 5.56" east northeast of the city.